Wow, after a long scoring drought TWB is again putting balls in the back of the net, scoring goals for joy! 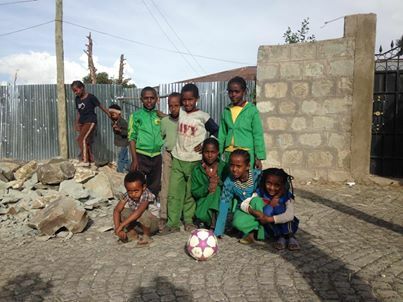 Next month, when World Cup in Brazil begins, we’ll hear about great scores by the likes of Messi, Ronaldo and Suaréz, but their goals will never be more beautiful than the ones scored by Matt Roberts in Ethiopia, because what can ever be better than the goal of bringing happiness to children in developing countries? Matt Roberts is truly the Most Valuable Player of the Game!